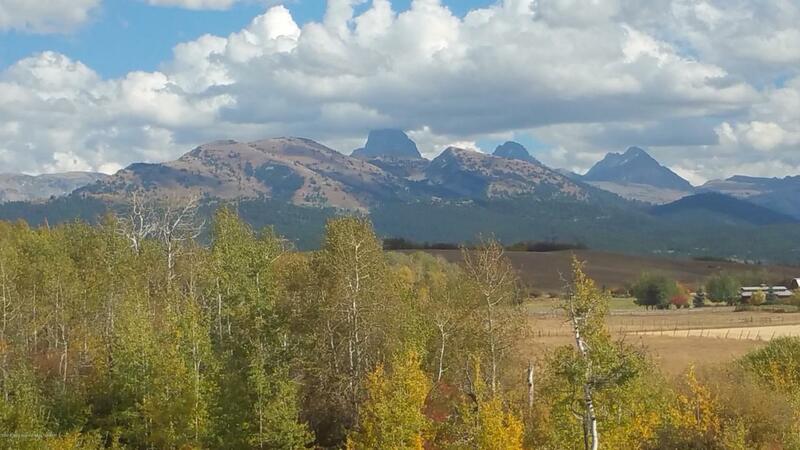 This lot has multiple home sites including highest hilltop with nearly endless panoramic 360 degree views of Grand Teton, Big Holes & Palisades Mountain Ranges from this breathtaking lot in exclusive Dry Ridge Estates. This 18.92 acre lot is the largest and most elevated lot the development has to offer. With a heavily wooded draw & intermittent stream on the North portion mixed with rolling hills and an Aspen grove near the middle of the lot, this lot is inexplicably unique. Located immediately southwest of Paul Allen's 4000 acre Teton Ridge Ranch along with an 80 acre conservation easement directly to the East, the Grand Teton view corridor will remain uninterrupted. Quality, high valued homes in Dry Ridge Estates approach $1-2M. Active HOA provides road maintenance for yr-round access.